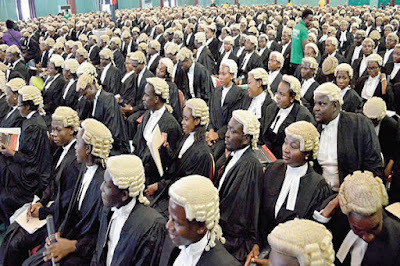 In Nigeria, thousands of young lawyers are unemployed. Each year, at least up to 3,000 new wigs will join their colleagues in the labor market. Add to this growing number another army of young lawyers who are underemployed. Most underemployed lawyers remain so for years. Underemployment does not only affect productivity but also professionalism. It is only a matter of time for many of these unemployed and underemployed lawyers to lose confidence in themselves and the legal profession. Good advice. But has this been the case? I doubt. Legal practice in Nigeria is still in the 3rd world. The legal environment in the country is not friendly. 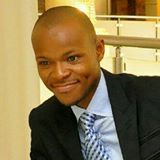 Government has not demonstrated that it has any vision to bring change to the legal industry, particularly the empowerment of new wigs from Law Schools. A Law School graduate badly needs innovative policies and programs that ensure sustainable structural support for a solid foundation and successful legal career. In the UK and US, solo practice and virtual-law firm programs form part of many Law School curricula. In Nigeria, it is virtually discouraged. Nigerian Bar Association (NBA) should introduce fresh ideas to create opportunities for young lawyers. NBA's approach may not also be helping matters. I think NBA's focus on strengthening the body and not the members of the body has ensured that the most important things remain at the bottom of its to-do list. NBA needs to drive innovation that stimulates and supports growth in the legal industry and deepen legal practice towards creating opportunities for young lawyers. This is how the future of the legal profession can be assured. Hopefully, the present NBA leadership is going to get it right. Senior lawyers should encourage and support young lawyers with new ideas. Apart from the Government and NBA, senior lawyers hardly give young lawyers the support they need to grow the confidence to start something new. The old order is the precedent. To go against precedent is to challenge the noble profession. Yet, a few young lawyers who challenged the old order have established some of the most successful and innovative legal-services businesses in Nigeria. I have described them as legal-services businesses because while some are still in legal practice others service the legal community. The legal marketplace often needs a mix of the old and the new to meet the needs of the 21st century. This is how the legal industry grows and develops anywhere in the world. Before robots take over the legal industry, young lawyers should embrace technology, explore ideas, and connect. I think young Nigerian lawyers need to be more creative, enterprising, and industrious. As lawyers, our catholic, eclectic, and interdisciplinary orientation should enable us open our minds to new learning and opportunities not make us learned robots. With the advancement in robotic technology today, learned robots will soon become extinct. This is because the real robots are coming; some are already with us. I think young lawyers should embrace Internet technology. The Internet provides boundless opportunities for professional development. Young lawyers must open their minds to new ways of doing things and take the lead in innovation. Young lawyers must network and collaborate. Use a professional platform like LinkedIn to connect with people in your industry or growing area of expertise. Continuing Professional Development is also very essential for the 21st century young lawyer to succeed. I dare young lawyers to have the courage to keep learning. When the opportunities come (or you create the opportunities yourself), preparation would count. By being prepared, you will be ready to take on the world, establishing yourself as a 21st-century solution in the legal marketplace. The future is now. Let's take it.